Nina Christie was warned, but Hazy Duncan is even worse than she expected. Nina’s new home on Chincoteague Island would be perfect but for the blight of Hazy’s perpetual rudeness. 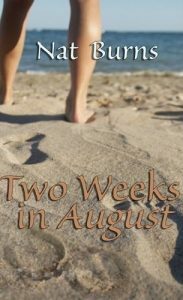 The island’s other inhabitants welcome her back as a prodigal daughter of the community and the idyllic summer breezes soothe her wounded heart. All she wants is peace, quiet and her books. Hazy’s experience with beautiful women like Nina is that they’re easily bored and always looking for something better. Just when CC is finally out of Hazy’s life and she can hear the heartbeat of the ocean again, here was another beautiful woman on her doorstep. Nina is even more dangerous than CC because Nina is nice. 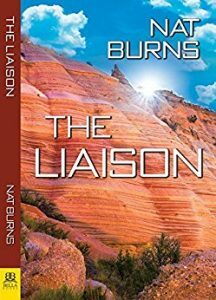 Nat Burns: 2011 recognition to promising new writer from the Alice B Committee of Arizona. November 2010: “The characters are appealing, especially Hazy. It also features some beautiful scenery and interesting glimpses of the small town life that develops in an island community. The reason for gathering may be cards, but the game is really gossip. Widow Kaylen Stauder is more or less content with her non-dating status. 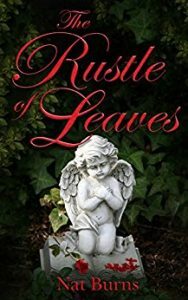 She’s listened for decades to the hateful gossip bandied by the women of the Freshwater Magnolia Club—and she wants none of it to be about her. Coping with domineering men all her life, she didn’t count on falling for gentle Eda Byrne. She didn’t plan for love, let alone passion, especially with another woman. She’s never believed in irresistible attraction, until now. Past the time of life when she ever thought she’d have to make such choices, Kaylen must decide which she needs more: her community or a woman’s love. 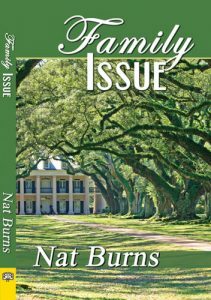 Comments: Nat Burns peels away the civilized veneer of a small North Carolina town in this passionate story of a mature woman discovering the price and value of love for the first time. 2011 Lavender Certificate –Nat Burns: 2011 recognition to promising new writer from the Alice B Committee of Arizona. Lambda Literary.org-House of Cards is a superb novel. 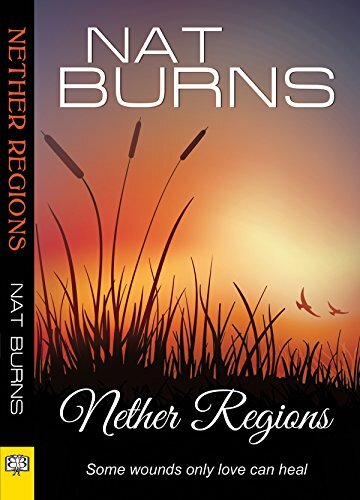 More than just a standard formula lesbian romance novel, Burns’ story takes the reader through the sometimes comforting, sometimes perilous claustrophobia of small-town life, while also telling the tale of a middle-aged woman’s sexual and romantic awakening. Just About Write-Burns gives us an unapologetic rendition of life in a small North Carolinian town with all its warts. But she also gives us a promise of love for someone entering the summer of her life. 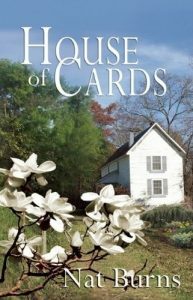 House of Cards is a richly detailed book showing the growth of main characters as well as life in a small town. River Tyler leaves her rural life in Virginia behind, setting out for the high-stakes paradise of the Florida Keys. As a gifted jewelry designer, she’s been hired to manage a high-end jewelry store partially owned by one of the area’s wealthiest and most influential men. 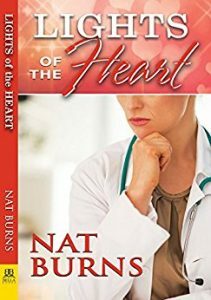 Comments: This edition of Nat Burns heartfelt tale of surprising love and high stakes is the author’s revised and edited version. Shay Raynor doesn’t need to learn anything twice. After a three-year disastrous relationship she now knows what happens when you let someone inside your heart, body and mind—they take everything. Her career as a prominent D.C. dog trainer is in tatters, but that pales next to the wounds she carries inside and out. Liza Hughes has left her business in Montgomery for the even smaller Maypearl, Alabama, to care for her ailing father. Distance from her clinging ex is also welcome. She’s not expecting to meet someone like Shay, but the attractive newcomer in the small town is clearly keeping her distance from life. Shay might eventually open up to Liza’s friendship and more, but the arrival of a woman named Pepper changes everything. Clearly, she wants Shay back. Finally, facing Shay’s terror, Liza understands what it will take for the two of them to have a future—they must deal with Shay’s past. Comments: Identity is a story of survival, tenacity and the strength of true love. On the list of things that Grey Graham thought she’d never do is hire a psychic. Her new bookstore on South Padre Island, however, appears to be haunted. Unable to explain why, she’s convinced that the restless ghost is her late partner, Mary. The locals tell her that psychic Angie June is the real deal, though, and she seeks out the young woman for help. Angie is desperate to save her local youth program, and a paying client is essential. 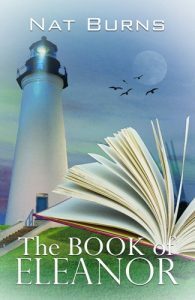 There is definitely something off about the bookstore too, and she can sense that the spirit won’t be easy to vanquish. As the days go by she also finds that the ghost isn’t the only reason she’s drawn to the bookstore, but Grey is far more interested in the dead than the living. 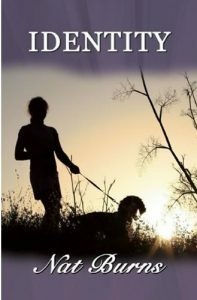 Comments: Nat Burns brings the south Texas world alive as two women confront a haunting secret and their feelings for each other. 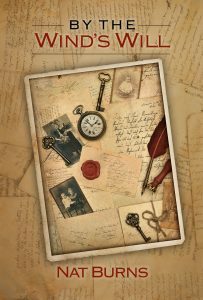 GCLS Goldie Awards–The Book of Eleanor — Winner, Paranormal Romance. Dorry Wood is notorious in Schuyler Point. Her antagonism plagues Marya Brock from the day they meet. Having left Seattle in favor of the small South Carolina town, Marya is finding it hard enough to settle without butting heads with the town crank. When Dorry finds out that Marya is the new reporter, it gets worse. Five years ago, the town paper led the charge in branding Dorry a pariah for being a lesbian and accused her of being complicit in her lover’s death. Peace might have finally been possible, but Dorry’s brother-in-law’s body is discovered on Marya’s front lawn. Under equal suspicion they both know that the only ones who will help them is themselves. With hostilities set aside they are confronted with the other feelings that smolder below the surface, but Marya finds no comfort in them. She read the reports from years ago—how can she care for a woman that she doesn’t trust? In the third part, Revelation (We Lose), lovers separate on emotional and physical levels. The words “you take my love yet deny my passion” reveal the frustration caused by the machinations of a lover and the phrase “a loneliness seeps through, saturating a living sponge grown of flesh and blood” deals with indifference. In summary, Genesis is the burgeoning of love, Psalms, the fruition of passion, and Revelation, the grief of loss. Vandalism and violence at Fortune Farm have pulled investigator Denni Hope home to Southern Louisiana. Her insistent ex-girlfriend, Patty Price, expects Denni to get to the bottom of an endless nightmare of trouble. For Denni, it means watching Patty with Yolanda Elliott, the creepy, conniving lowlife who stole Patty away. Denni had hoped Patty was exaggerating, but the chaos at the farm borders on evil. The Price family is well-loved but nothing has been right since the death of Patty’s mother. A war-crazy neighbor and a business competitor are just the beginning of the list of suspects. But just as Denni feels she’s making progress, Yolanda asks for help from an old friend of her own: police officer Bonita Corcaran. The move is so typical of Yolanda—it’s an already difficult situation, but now Denni must deal with the most attractive, seductive woman she has ever met. Delora November is a survivor—ask anyone in Redstar, Alabama, and they will tell you that. Her ex-husband put her in a burn ward and she came fighting back. She works three jobs and on the surface she’s keeping it together. Redstar itself works its own magic. When the thought of yet another hospital is too much, Delora turns to healer women she’s heard might help. 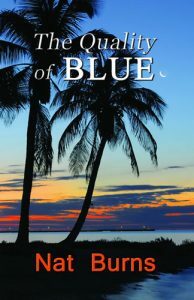 In the quiet, breathing depths of Bayou Lisse she meets Sophie Cofe. 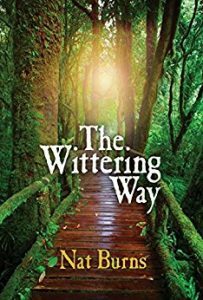 It seems like magic indeed when Delora finds answers to questions she had yet to ask and cures for ills she had thought beyond fixing. But underneath her happiness there is still a lurking evil that can take away everything Delora—and Sophie—hold dear. Physician Corinthia Madsen Salas—Dr. Maddie—has a flourishing practice in the tiny southern town of Maypearl, Alabama. Although she’s on call for her eclectic patients 24/7, she keeps her personal life private—most notably the fact that she is in love with her new receptionist, Ella Lewis. To reveal the truth could be an ethical disaster for her career and her impeccable standing as a civic leader in the small town. Yet, even so, she wonders often if Ella’s sly, shy glances indicate a return of affection or just workplace courtesy. Then the incredible happens, the two are thrust into revealing their feelings and Ella offers to change jobs so that they may have a relationship. Throwing caution to the wind, Maddie agrees. After a blissful evening, Dr. Maddie is called out to a late night emergency and soon the worlds of both women turn completely upside down. The Meab have lived peacefully in the forest surrounding Lake Feidlimed for millions of centuries. Even when the humans arrived in their silver sky ships, the Meab had stayed strong, if hidden. Now, human technology has taken over the Brinc clan and Cleome, eldest daughter of the Widdershin join, finds she must avenge her slaughtered parents and rescue her captured sister. Getting onto Brinc lands won’t be easy. To get there she, and her ragtag band of young peers, must deal with the elementals of nature who try to prevent their passage, as well as trying to blend into a society now as much metal as magic. At the citadel of Signe Ray, Cleome faces her greatest challenge and her greatest grief. Will she take the next, dangerous step and summon the darkest forces of evil to fight at her side? Or will she admit defeat against such overwhelming odds? This story, the first in the Tales of the Meab series introduces us to the many magical joins of the nature-based Witta clan and the oh-so-rational joins of the machine-based Brinc clan and the ongoing differences between them. 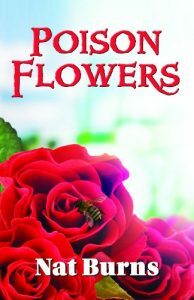 This horror novel by romance writer, Nat Burns, shows the darker side of a beloved author.